Great news everyone! Well, right now it’s great news for Zenfone 3 (ZE552KL / ZE520KL) owners. This is starting in the Philippines and should be rolling out globally in short order. 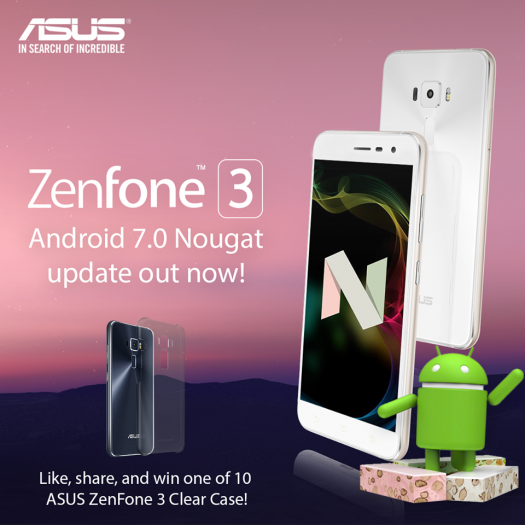 There is nothing official for other Zenfone 3 models yet, but certainly the Android 7.0 Nougat update will be coming based on this development. We know one thing. First backup your device! We are just fact finding right now and will be adding to this post in the next hour. Stay tuned for more of this breaking news! Is it really true or hoax? Because nobody’s ever reported that they already experienced the new ZenUiI Nougat.